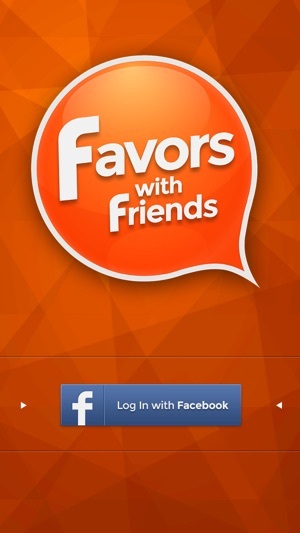 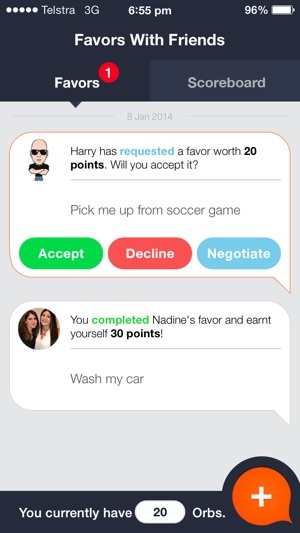 Favors with Friends is an app like no other! 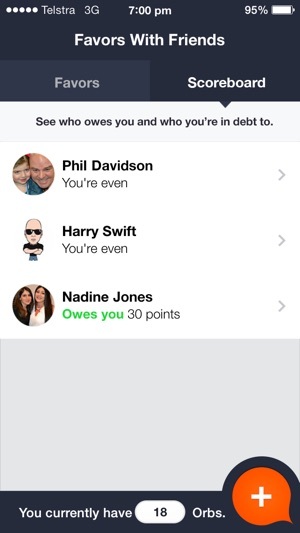 It's an easy way to ask a favor and keep track of who owes you and who you are in debt to. 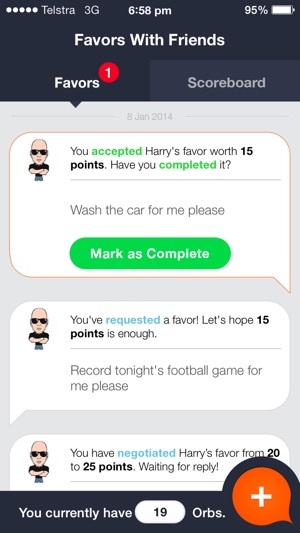 It’s really simple! 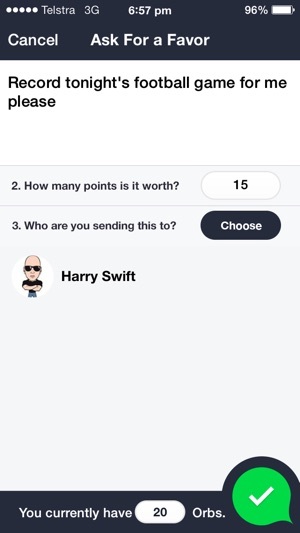 Ask a favor, agree the points with your Facebook friends and then track the scoreboard to view the record of all your transactions.